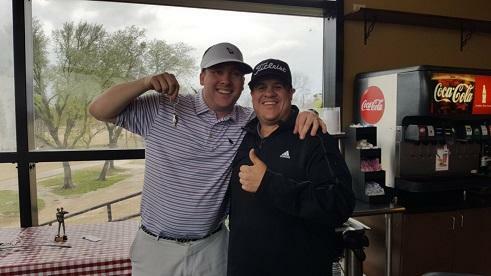 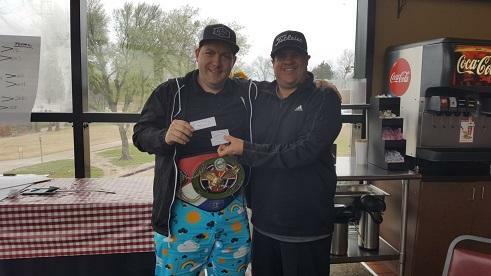 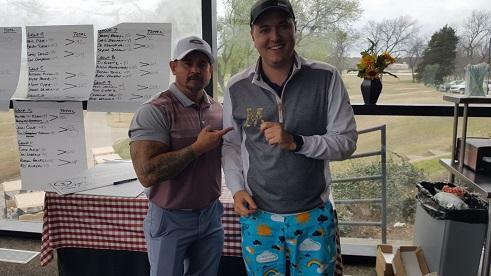 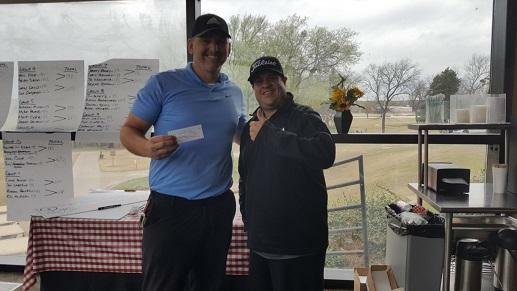 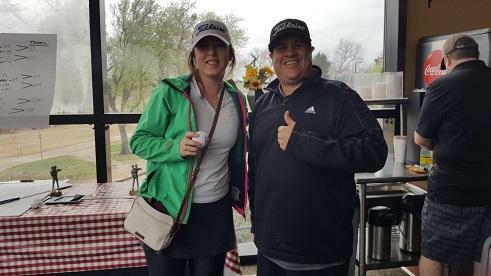 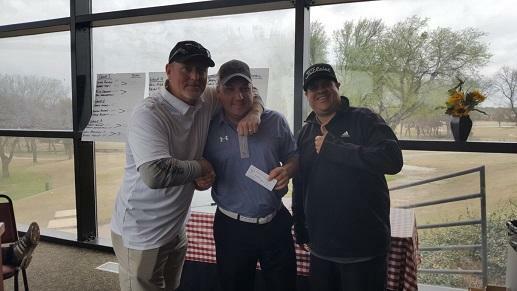 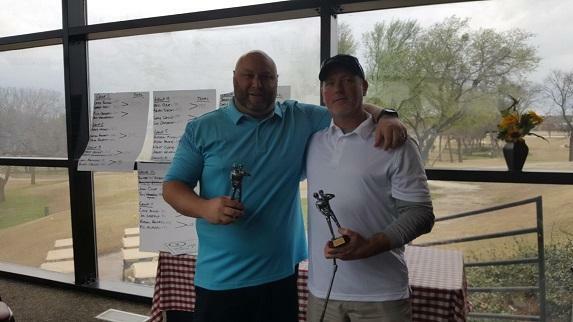 With looming thunder storms and a soggy golf course, the North Dallas MGA attacked the sponge like conditions of The Lakes Course at Fire Wheel with hopes of winning the first big check of the season! 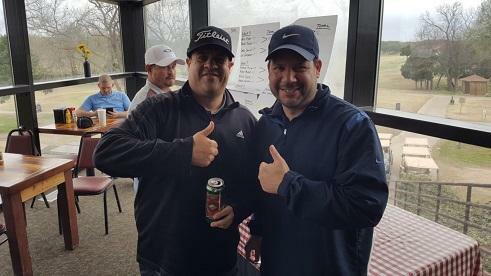 Among the 42 Medios who entered the first event of season, we saw many new faces, in addition to the 2018 MGA WC, who made his first appearance of the season. 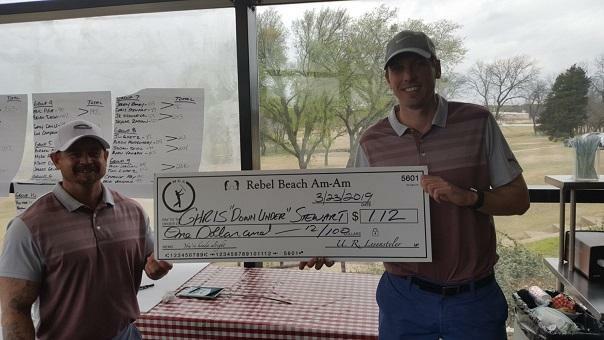 As with last season, we had a tie for first place and since we didn’t have a goal post on the range to decide the winner, we had a three player putt off. 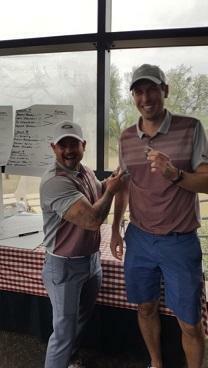 Newcomer Chris Stewart beat-out Trey Sherman and three-time playoff loser Jim Goetz. 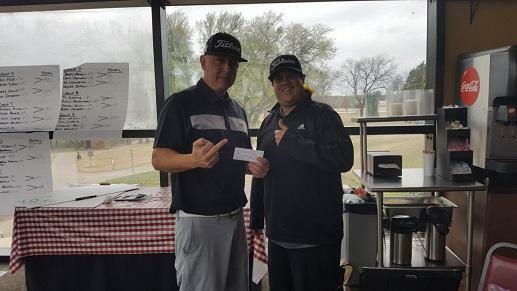 Other awards included Most Mediocre awarded to James Cannon, Biggest Meltdown awarded to Austin Montgomery and Skyler Zadow, Kinda-Long awarded to Chris Stewart, Kinda-Close awarded to Erik Vergara, and The Red Key winner, J.R. Villanueva.